Hi guys, considering the current situation as regards free Browsing, we taught it wise to review the best and affordable internet data plans for all Smartphones/PC. 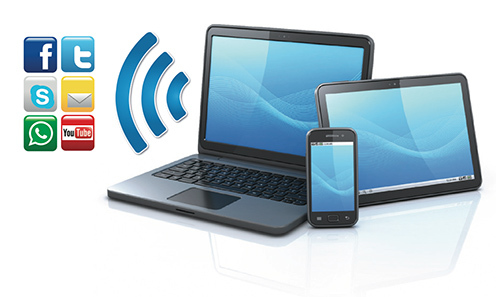 We all aware that The Nigeria internet provider has been making things hard for us, some of our cheapest and uncapped data plans have been interrupted, while new and very limited once are seen circulating around. No matter how hard, we just have to be online. Today, I’d brief you guys with the best and low-cost internet data plan which I hope they really nice for you to enjoy in this new month. This code were all tested and running fine as at the time of posting and it covers GLO, MTN, Airtel and Etisalat Nigeria Networks. Let me start with Glo, because their are lots of change in their data plan. Glo Blackberry Plans: Glo bis plan has been scaled down to 2GB For N1,000. Their 3GB bis plan is now N1,400 and N1,500 respectively. I tried their 3GB of N1,400, the way they are deducting it’s megabytes not fear at all, it’s zaps data a lot while their 3GB of N1,500 plan doesn’t zap the data any how, it is ok than the one of N1,400. Dial *777*23# For 3GB and it cost N1,500 or dial *777# and follow the prompt respectively. It works on BB10 and Android devices whose IMEI has been tweaked to BB IMEI. Glo has upgraded their 1.2GB data plan of N1000 to 1.5GB and N2000 Data From 2.5GB to 3GB. You can now get Glo 1500MB for N1,000. Those plan are working flawless on all types of phones and PC, excluding the old blackberry phones. If you have big file to download over the net or you are such that always surf during the midnight, Globacom now offer you a cheap bundle to enjoy. 2. Weekend Plan: N500 for 3GB for Saturday and Sunday +7Nights from 12am to 5am. » Simply dial *777# and follow the prompt [Data Services » Buy Data » Night and Weekend plans], then select 1 for Night plan or 2 for weekend plan. MTN BB10 plans as we all know have not been going for sometimes, unlimited surfing with affordable price are not easy for now. MTN Music plus is what we are using as an alternative to BB10 plans for now on PC, Mac, Android and iOS devices, N15 airtime is only what you need to get 150MB. Though some are complaining that MTN Music+ for N15 is no more working. This is to let you know that MTN Music+ is still working fine, just that it required new scope before you can be able to received the 150mb from MTN. After you exhaust your 150mb and you wish to renew it new, send cancel7c to 5900 to unsubscribe the plan, then repeat the above process again for another 150mb. It is a perfect data plan for heavy downloading/streaming, but unfortunately, MTN N150 unlimited data plan is for selected MTN sim cards. If your MTN Sim is among of the lucky Sim cards. You might have received a message from MTN asking you to load N150 and enjoy unlimited browsing. You can as well try dialing the code just in case you think you might have missed the SMS. Dial *567*59# and reply with 1 to activate it if you are eligible, hen you are good to go. You can read more detail about it here. For 2GB: Send “SPB to 131” in a text message. Cost N2,000, valid for 30 days. For 2,015MB – MTN Better Me Data Plan: Text ‘SPB to 131’. Cost N2,015, valid for 30 days. For 4.5GB Day and Night Plan: Send ”120 to 131” in a message or dial *131*1*5*1#. Cost N2,500, valid for 30 days. Airtel new data offer with N2,000 you can get 4.5GB data, but unfortunate not all Airtel lines will be able to accept this offer, simply dial *440*161# to verify. You can read more detail about it here. Airtel 1+1 Offer is Back – For those who need much data, you can now subscribe to Airtel 9GB with N3,500 and the plan will last for 2months. This is not a new plan, it was launched in October 2014. Initially, this plan was officially stopped, but is back again. As usual, not all sim are eligible for this offer, simply dial *438*1# to check if you are eligible. You can read more detail about it here. Airtel Weekend Bundle: 1024MB (1GB), for just N100, dial *474*1# to activate. Dial 140# to check data balance. Note: It can only be use on Weekends (Sat – Sun). You can read more detail about it here. For 1GB Data plan: dial *141*1*3# to subscribe, cost N1,000 and valid for 30 days. For 3GB – BB plan, but work for all device: dial *440*16# to subscribe, cost N1,500 and valid for 30 days. 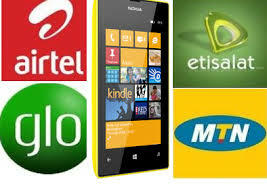 For 4GB – Android Bundle: dial *437*1# Cost N2,000 and valid for 30 days. For 9GB – Android Bundle: dial *438*1# Cost N3,500, Valid for 30days. Those plan are working flawless on all types of phones and PC. For 1GB: dial *929*9#, cost N1000 and last for 30 days. For 1GB: dial *229*10*10#, cost N500 and last for 24 hours. This plan known as an emergency plan. For 1GB: dial *5995*2#, cost N1,000. Last for 3 Days (Weekends plan). For 2GB: dial *229*2*8#, cost N2,000, validity for 30days.